Your carpets will serve you much longer and look better if you provide deep cleaning on them at least twice each year. You can use our professional carpet cleaning services available in Islington at affordable prices. Use them to ensure the clean condition and long lifespan of the expensive floor coverings in your property. The work of our staff is effective and reliable, implemented with the help of powerful and advanced machines, preliminary tested detergents and sprays. They carry out hoovering and steam cleaning which have excellent results. You can rely on the experienced and skilled cleaners who work in our company to ensure the refreshing and sanitising of your old and stained carpets. They check the condition of the fabric and choose the most appropriate sprays for it. The stains, dirty patches and darker areas are sprayed and left for some time. Our cleaners carry out hoovering and hot or cold water extraction depending on the carpet fabric. They remove all allergens, dust mites and pollutants from the carpet along with the moisture. In the end the carpet is deodorised and left to dry. We offer professional carpet cleaning in Islington and in the surrounding boroughs. 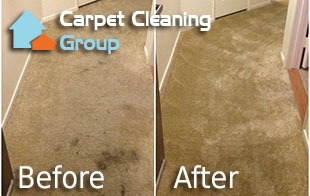 Fill the form and get a free carpet cleaning quote! Use our services whenever you need thorough and in depth disinfecting and refreshing of your soft floor coverings. The best way to ensure the impeccable and spotless condition of the carpets in your home, work place, hotel, rented or business property is by using the services of a reliable company. Our carpet cleaning is at your disposal in Islington during all days of the week.